Mariella Foley, a Managing Director, Wealth Advisor with Round Table Wealth Management, has been with the firm since 2000 and has over 25 years of experience in the financial services industry. Her responsibilities include all aspects of wealth management such as investments, income taxes, cash flow management as well as overall financial decision making for her clients. Mariella leads the RTWM women’s initiative and focuses her practice on working with women. In addition to advising women on their investments and finances, she empowers them to take the necessary steps to control of their finances. Whether they are experiencing a life transition due to divorce, death of a spouse or any other life changing event, she enjoys working closely with her clients to assist them in gaining greater control of their financial lives. Mariella has spoken at several local events to emphasize the importance of women being involved in their finances and how to get started. Mariella is a graduate of Montclair State University with a B.S. in Business Administration and is a CERTIFIED FINANCIAL PLANNER™ professional. She has experience in the tax department of Big 4 accounting firms as well as a national trust company as a tax specialist. She holds the Accredited Domestic Partnership Advisor (ADPA®) and the Certified Divorce Financial Analyst (CDFA®), designations and has completed all required training to work in the collaborative divorce process. She was also named a winner of the Five Star Wealth Manager Award for 2016, 2017 and 2018, which exemplifies Wealth Managers who consistently provide quality service and financial planning to their clients. 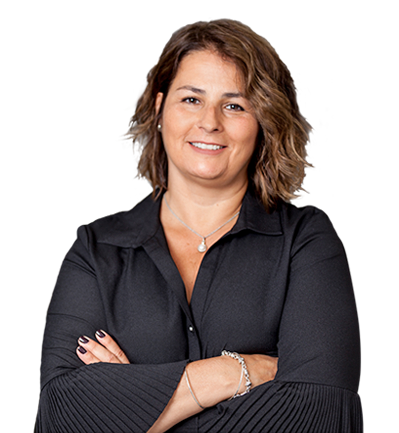 Mariella is a member of The Institute for Divorce Financial Analysts; The New Jersey Collaborative Law Group and the International Academy of Collaborative Professionals. She also serves on the Board of Directors for the Westfield Area Y.
Mariella is fluent in Spanish and she enjoys spending time with her family and being actively involved in various community organizations and events. She is also a 1st degree black belt in Taekwondo. Individuals who hold the ADPA® designation have completed a course of study encompassing wealth transfers, federal taxation, retirement planning, and planning for financial and medical end-of-life needs for domestic partners. Additionally, individuals must pass an end-of-course examination that tests their ability to synthesize complex concepts and apply theoretical concepts to real-life situations. A Certified Divorce Financial Analyst (CDFA®) uses their knowledge of tax law, asset distribution and short- and long-term financial planning to achieve equitable divorce settlements.